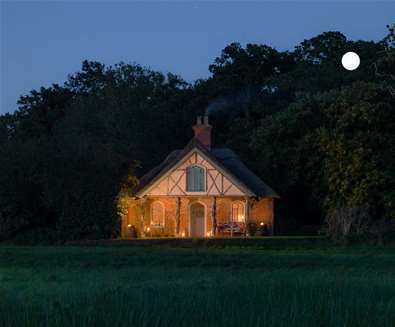 A former forester's cottage, Hex Cottage is a Bijoux thatched hideaway situated in the grounds of the sumptuous Sibton Park Wilderness Reserve. 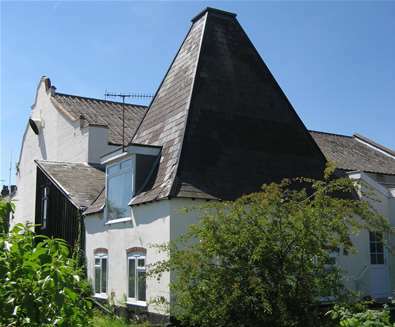 Ideal for a romantic getaway, it sleeps 2 and contains a king-size bed, wood-burning range cooker, open fire, original butler sinks and brick flooring. Step outside and you can smell the aromatic herb garden and enjoy a bicycle ride around the estate on the Pashley Bikes provided. Wifi is available, but there's no electricity, so perhaps leave the laptop at home! Originally an old malting house dating from the 18th century, The Malthouse in Woodbridge overlooks the marina and River Deben. Sleeping 5, the accommodation makes the most of the views, with the living area upstairs, and the bedrooms downstairs. 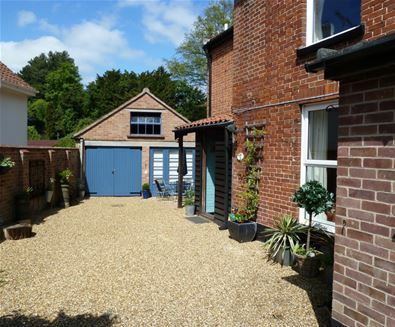 There is an enclosed, private front garden to the front of the property, so you can enjoy a family BBQ after a day of shopping, exploring and walking in the historic town. 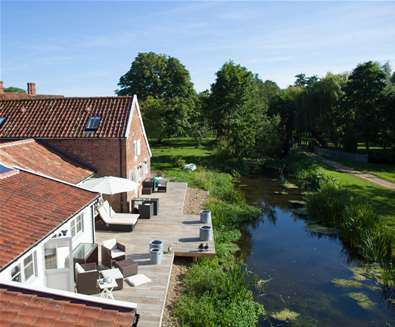 Nestling in the heart of beautiful rural Suffolk, Lethringham Water Mill Cottages are situated within 7 acres of gardens, with views across the river. 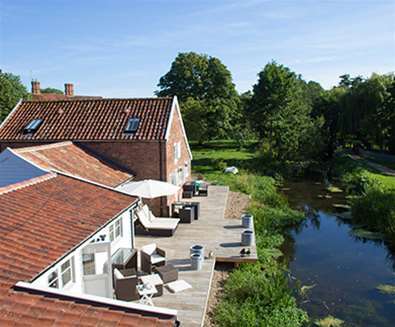 There are 5 cottages to choose from; 4 riverside decked cottages and The Mill House - all set beside the River Deben. For a truly unique experience, book to stay at The Riverside; nestled within the actual historical Water Mill building with an illuminated viewing gallery into the actual mill workings. The safe site is dog friendly too and allows them to run free! Belle Grove is a collection of 5 converted barns; each luxuriously furnished with antiques and textiles for 'east meets west' style. 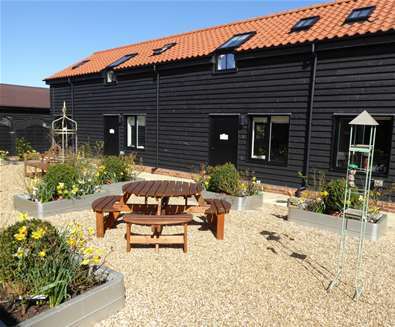 The properties offer accomodation sleeping 2, 4 or 6 and feature underfloor heating, wood-burning stoves, luxury bedding, Bose sound systems and your own private walled garden - perfect for al fresco dining and a glass of wine to end a busy day exploring the nearby towns of Halesworth, Southwold and Bungay. 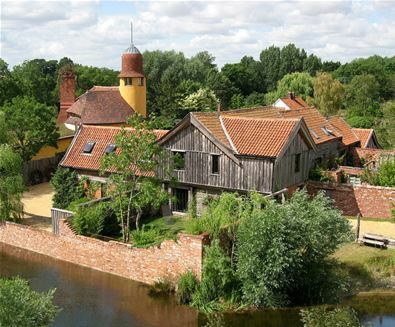 Set in an acre of private grounds, The House in the Clouds in Thorpeness is one England's most famous follies. 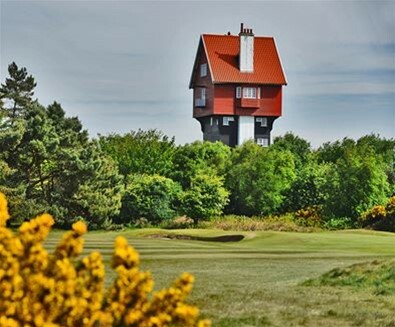 Located high above the ground, the accommodation boasts views of the surrounding golf coursem meare and coastline. 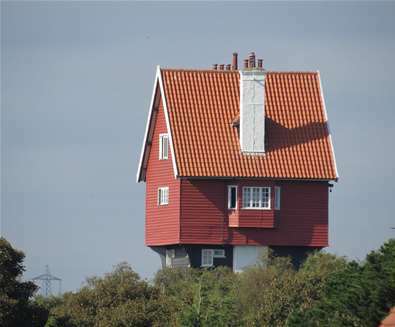 With 5 bedrooms, 3 bathrooms, a drawing room, dinig room, and 'room at the top' with spectacular views, it's perfect for a unique getaway on The Suffolk Coast! 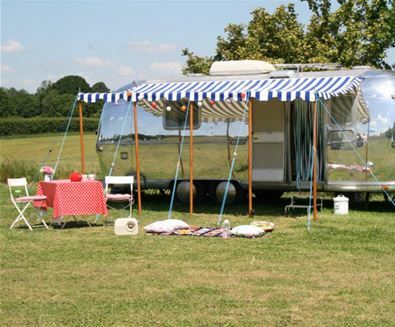 A slice of vintage Americana in the Suffolk countryside, Happy Days Retro Vacations is a small campsite where visitors can live out their dreams of old Hollywood glamour by renting a beautifully restored Airstream trailer. 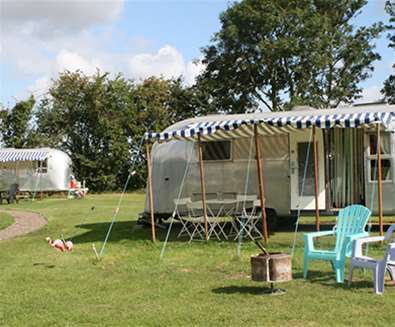 The six silver ladies named Betsy, Dee Dee, Annie, Gloria, Nettie and Peggy are all either four or five berth so ideal for familes. Sharing the site with these old style American beauties is Elsie, a small British two berth caravan, perfect for couples plus there are two camping pitches for either vintage caravans, campervans or tents. 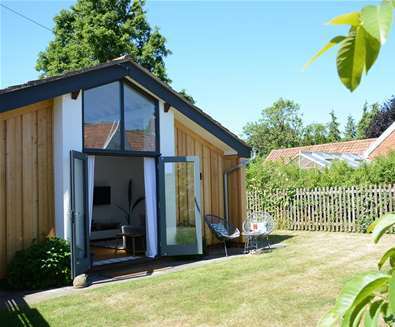 Named in the Sunday Times 'Top 100 Best Places to stay” and The Guardian's '50 of the best Hotels and B&Bs in the UK' Five Acre Barn is a contemporary bed and breakfast situated amongst 5 acres of gardens and just a short drive from Aldeburgh. 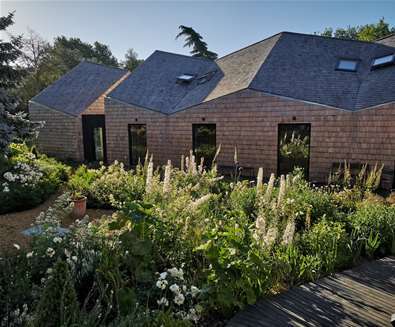 The barn was named RIBA East Award winner 2018 and Best Small Project 2018, and it's not hard to see why; with dramatic, light-filled rooms, floor to ceiling windows with access into the garden and stylish decor, a stay here is a must for anyone looking for an inspirational space to stay! If total relaxation is what you need, then book a stay at the Maharishi Peace Palace Relaxation Bed & Breakfast. Situated on the edge of Rendlesham Forest, provides the perfect setting to unwind and rejuvenate. 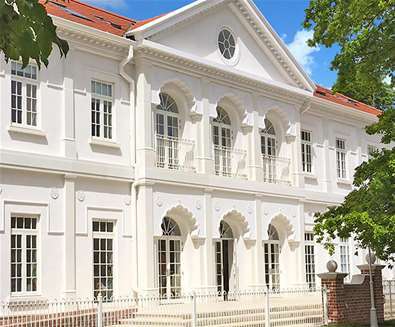 Immerse yourself in the blissful atmosphere that makes the Peace Palace such a memorable and lasting experience. During your stay, there are optional introductory talks on Transcendental Meditation and tours of the building and Maharishi Marma Therapy; which teaches that the Marmas are alive with the vibrations of primordial sound. Your sumptuous room comes furnished with the finest sheets, cashmere duvets, pure cotton towels and eco-toiletries and you can also enjoy a delicious vegetarian continental breakfast or try the vegetarian buffet lunch and supper. 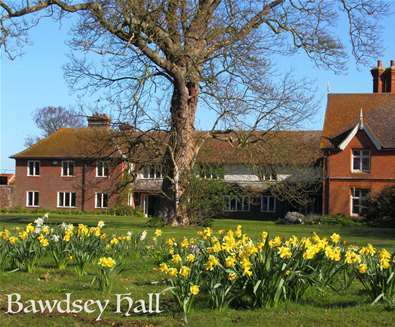 Wildlife enthusiasts will love staying at Bawdsey Hall! 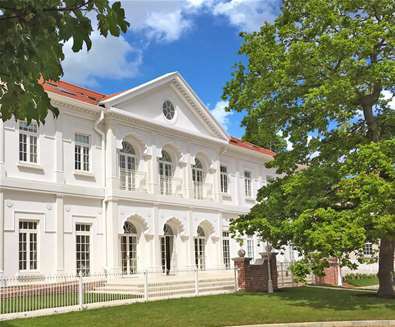 The building is steeped in history with records dating back to the 17th Century, it now provides a quiet retreat with charm and character. Take time to sit on the terrace and watch wildlife go by. If you are lucky you may just sight one of the resident badgers from the comfort of your room. You will have access to the grounds where you will find some beautiful walks through meadowland, around large ponds and through our mature woods, these offer a variety of different habitats for local wildlife. Throughout the grounds there are also hides for you to use to discover some of Suffolk's rare birdlife! 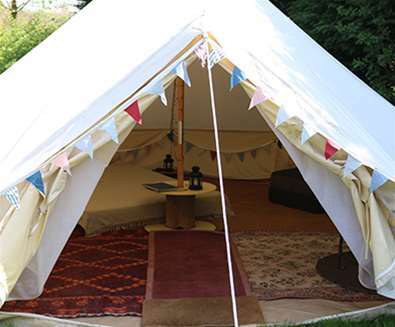 Alde Garden is a tiny campsite in the heart of Suffolk with an eclectic range of rustic, quirky accommodation as well as a handful of small tent pitches. 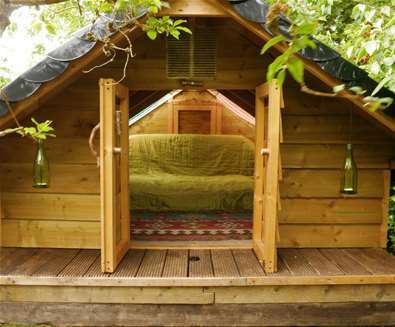 Tucked away in a secret garden next to an award-winning pub, there is an eclectic array of quirky accommodation plus a range of communal facilities including a campfire, covered field kitchen, compost loo and jungle shower. There are two traditional Mongolian style yurts, each with a woodburning stove, ground sheet and furniture and lit at night by solar powered fairy lights and tea light lantern; a Gypsy caravan aged over 100 years old nestled in a private spot surrounded by trees, shrubs and wildflowers; Badger Cottage, a 200-year old red brick stable with a master bedroom and twin bedroom and the 'Hideout', tucked away in a small clearing it is perfect for two with a double mattress (you'll need to supply your own bedding for this one), two bedside tables and has a carpeted floor. There are two glass panels in the roof allow a wonderful view of the nature around you - whether it be dragonflies, birds & butterflies during the daytime or bats and stars at night. Solar powered fairy lights twinkle away at night, and the mattress folds for sitting up, so you can enjoy a beer or play cards. 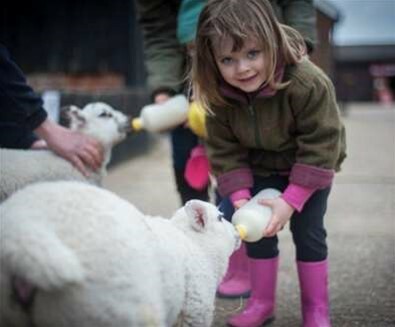 Wake up to the sounds of rural Suffolk, pull on some clothes and head out to help feed the bunnies and the chickens at Easton Farm Park. The Farm Park is open from 10.30am with two indoor playbarns and lots more fun on the farm - so it's the perfect place to enjoy a memorable family holiday! 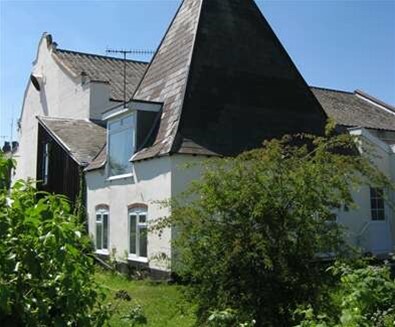 Located in the centre of the farm, Duke Cottage or Duchess Cottage; both are original 3-bedroom farm cottages with bedding, heating and towels, plus high chairs, stair gates, travel cots and toys for children. 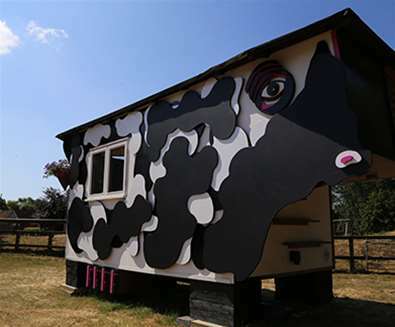 If you prefer to stay somewhere a little out of the ordinary then opt for a Cow Shed! A mix between a caravan, camping and glamping, the Cow Shed experience is living in the outdoors but with home comforts! All linen is provided and both Daisy and Buttercup are insulated with a power supply for all your electrical items. 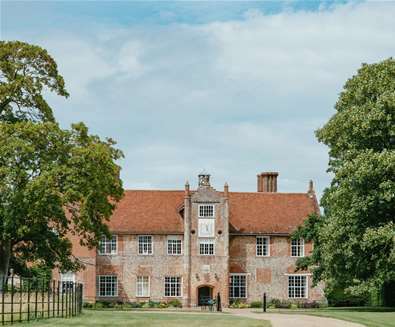 If you're looking for somewhere that the whole family can stay, then the stunning surroundings of Bruisyard Hall are ideal! 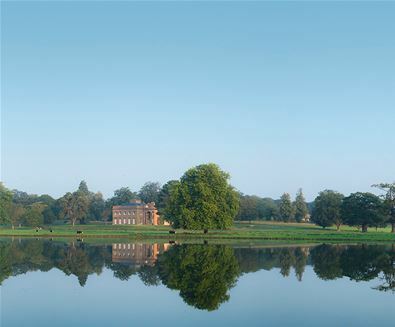 Surrounded by 700 acres of grassland, farmland and woodland, you can enjoy a long weekend with family and friends, offering 5 star accommodation for up to 28 people. The whole family can relax and make themselves at home, with a snooker room, a huge kitchen, dining room, drawing room with log fire and an attic bar. If you're celebrating, then the barn, which is just a stones' throw away, can accommodate up to 140 people for parties, dining and celebrations. Glamping with a difference! 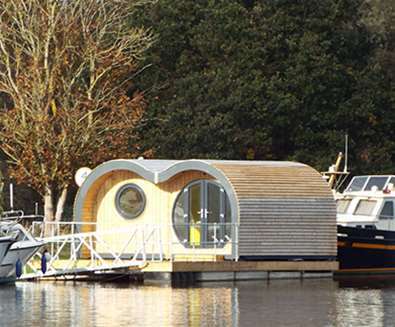 The luxury glamping pod at Hippersons Boatyard sits right on the water! With underfloor heating and an outside floating deck where you can sit and watch the sunrise and sunset over Beccles Quay, it's a truly unique place to stay. Complete with all mod cons including a two ring hob and a microwave with a double room and bunk beds in a separate room. 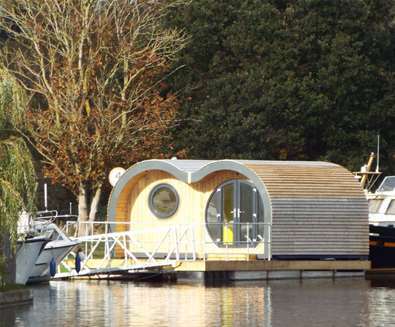 Or, if you prefer to stay on dry land, then choose one of the glamping pods situated on the river's edge. Here you can experience boating beyond your houseboat or pod, with access to a dingy for rowing and/or sailing. Day boats are also available for rental plus canoes and kayaks in the summer - perfect for exploring the river further and seeking out the local wildlife. 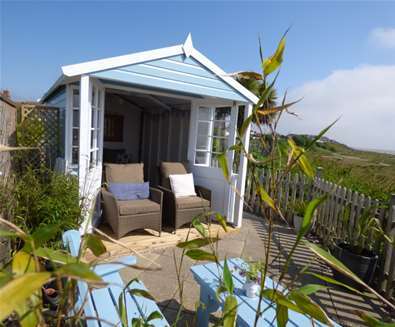 For more places to stay on The Suffolk Coast, click here! 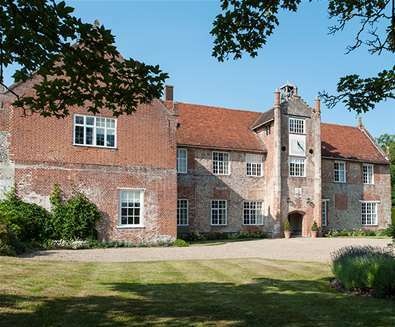 Bawdsey Hall is situated on a small nature reserve providing opportunities for photographers, birders, entomologists, lepidopterists, wildlife enthusiasts and anyone wanting to relax in quiet surroundings.